Leslie Maguire's expertise in the North Shore real estate market, along with strong communication skills, excellent interpretation and analysis of data, expert negotiating skills and enthusiasm for her clients and her profession enable her to consistently achieve outstanding success (over $100 million in closed sales ) since she began her career in residential real estate in 2000. 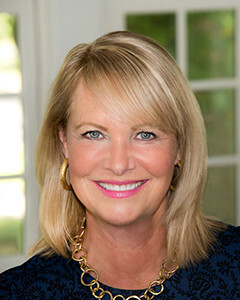 Leslie and her family have resided in Winnetka since 1985, and the extensive list of connections and referrals she has made through her community service (schools, parks, caucus), sports (paddle, tennis) and business have enhanced her success in real estate. Leslie is truly an agent who loves what she does, and she is well respected by her clients, fellow professionals and colleagues for her integrity, energy, passion, professionalism, prompt responsiveness, attention to detail and tireless work ethic. The vast majority of her client base consists of referrals of present and past clients and her multitude of community connections. "Simply Sensational Service" truly embodies what Leslie delivers to each and every one of her clients. Leslie and her husband, Dan, have 3 children who live and work in downtown Chicago. She enjoys playing paddle, tennis and working out at SALT Fitness. Leslie loves to travel, try new restaurants and entertain friends and family. I truly understand how important it is for my buyers and sellers to feel that they are receiving the attention they need and deserve throughout the entire process. My role as an agent is to make the emotional and stressful processes of buying and selling a home as seamless, painless and hopefully as enjoyable as possible. It is an honor and a privilege to represent my clients in the purchase and sale of their homes, and I take my role as their agent very seriously. It is my responsibility to guide them through every step of the process with honesty, integrity, attentiveness, insight, professionalism and enthusiasm in order to get my buyers and sellers the results they want and deserve. The greatest reward I receive as a real estate consultant is the referral and repeat clients who represent the majority of my business. "If there is a finer real estate agent than Leslie Maguire then she or he must walk on water. We have worked with Leslie for over 9 years. She has been insightful, patient with us, extremely knowledgeable about the housing market in our area, good at guiding us in the search, keeping track of the process and the progress of our search and buying of a new home. She is very good at figuring out the market and how to negotiate in buying. Once we had the contract accepted, she kept track of the documents needed, the lawyers involved, etc. She has also helped us immensely on the selling side as well. Best of all, she has a great sense of humor."